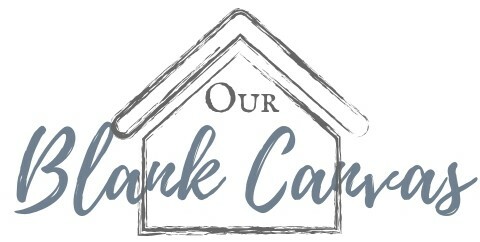 Its now been over one month of homeownership, and I couldn’t be happier with all the progress we’ve made. Sure, we thought we’d be further along by now, but looking back, it’s safe to say we had pretty unrealistic expectations of how quickly we’d be able to get things done. And as corny as it sounds, we’re actually having a whole lot of fun (and spending a whole lot of time driving each other crazy). This week included a lot of yard work, and a lot more help from family. The front’s coming along nicely – with help from both Dan’s mom and brother, Tommy. 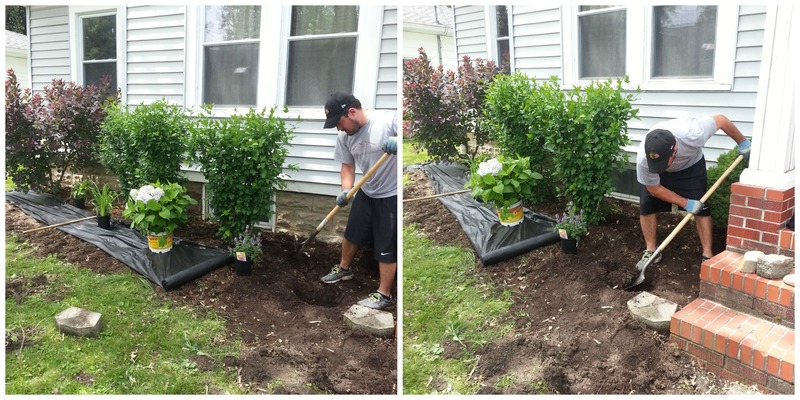 Tommy’s absolute favorite part of the day was digging holes to replant bushes. Especially when Dan made him keep moving them until they were juuuuuust right. 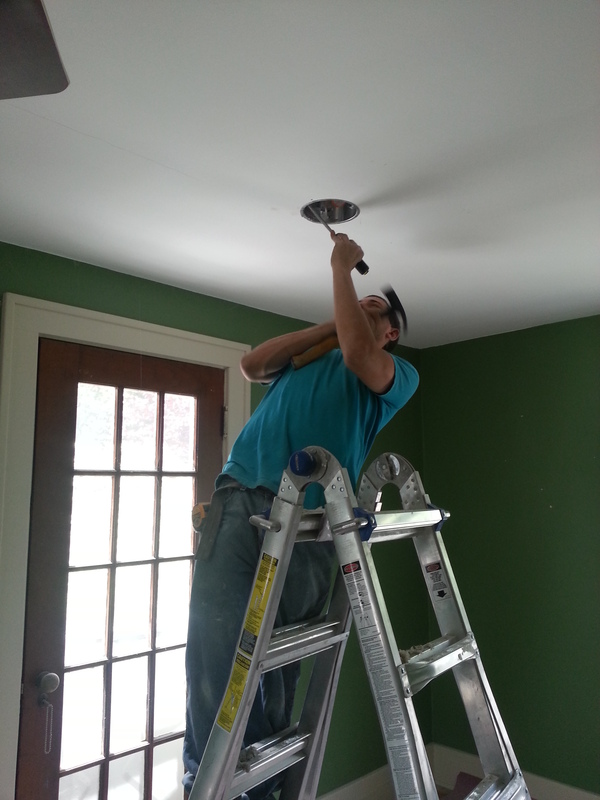 My cousin stopped by for round two of electrical work, adding recessed lighting to the master bedroom. And since there was nothing but a ceiling fan (with no light) before, I’d have to say, this was a pretty big improvement. Almost there. 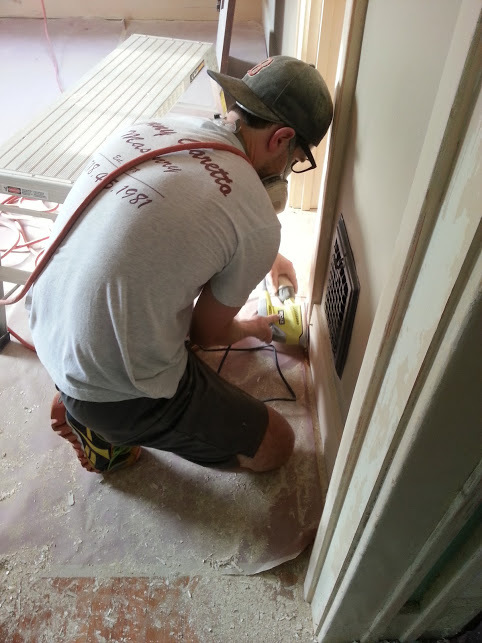 While I’ve been scraping, Dan’s been following behind with sanding. Necessary evils, and tedious work. It’ll hopefully be worth it when the trim’s shining bright (white). Throughout this entire crazy adventure, Dan’s been the handy man and I’ve taken his lead. 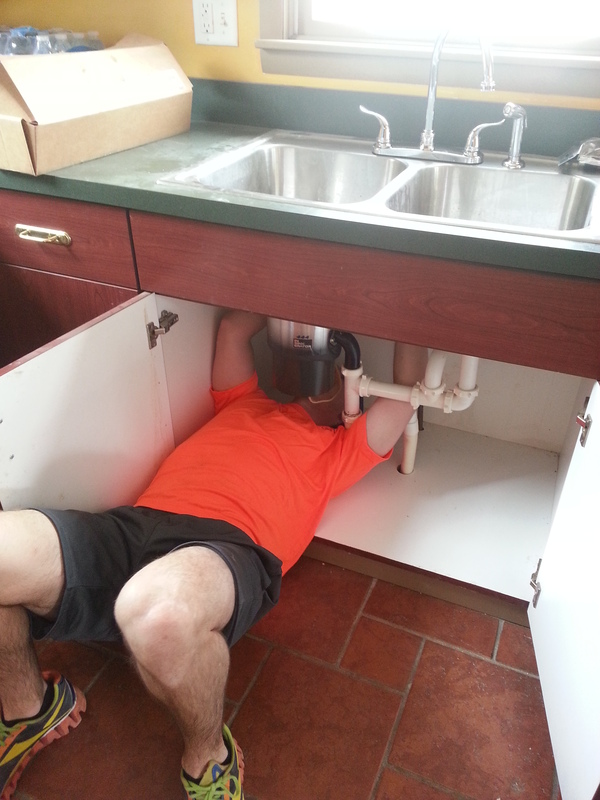 By the time we’re done with renovations, he’ll be able to fix, build, and do just about anything around the house. Lucky girl, I know. Here’s just a few more hats he’s tried on – some scarier than others. I’m not sure if Dan on the roof was scarier for him or for me, but, at least a funny story came out of it. While climbing over the roof, he came face to face with a squirrel, who was not to happy that Dan had entered his territory. In an act of defiance, he took a running start, spread his little arms and legs (I’m talking about the squirrel, not Dan), and leapt out of the roof and into a not-so-nearby tree. 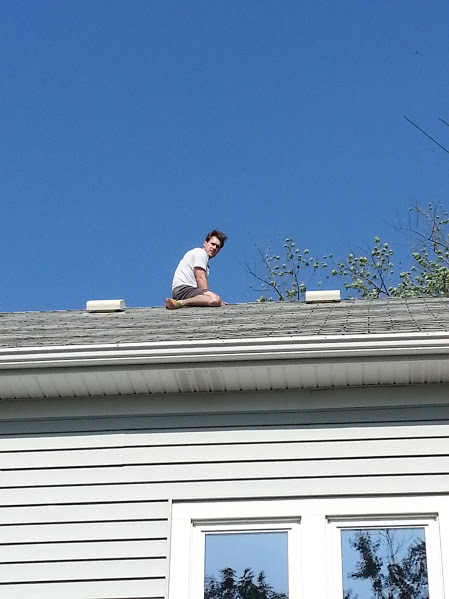 Needless to say I think Dan almost fell off of the roof from laughing so hard. From refinishing an old trunk last summer, to renovating an entire house this summer, I’ll have to say, our “projects” escalated pretty quickly. Then again, we’re always up for a challenge, and wouldn’t have it any other way. Oh, that poor squirrel! Hahaha! Very funny!